There's something about relaxing in the sun on vacation, whether you're on the beach or in your backyard, that almost requires frozen drink. People of any age can enjoy frosty beverages while they're relaxing. 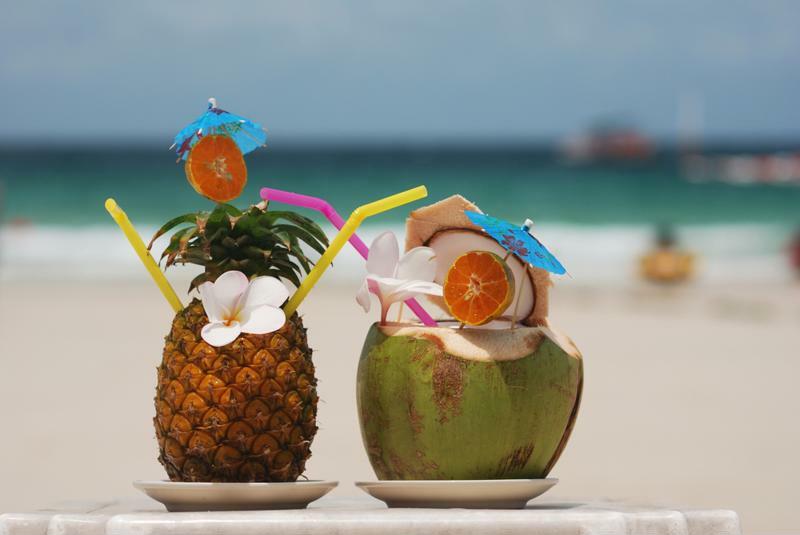 Here are a few of the best drinks, for either children or adults, that truly enhance any vacation. For adults, a good vacation beverage is tasty, sweet, tropical and strong. Try these excellent alcoholic drinks while you're relaxing on the beach or make them at home in your frozen concoction maker. Monster Margarita - With lime juice, sugar, tequila and triple sec, this drink is a classic for good reason. It's designed to be enjoyed on a endless Mexican beach with clear water, perfect sand and your family. But, of course, you can have it anywhere - just don't forget the salt! Mai-Tai - This Polynesian treat bucks the trend of tropical drinks coming from the Caribbean, but it's just as tasty. Make your own in your party machine with white rum, spiced rum, orange Curaçao, orange syrup and lime juice. Fruit-Filled Piña Colada - Characterized by its strong coconut and pineapple flavors, there may be no tropical drink that says vacation more than a piña colada. Make your own with extra garnishes - pineapple, cherries, limes and orange wedges - to make it feel like a true vacation treat. Recreate your favorite vacation drinks at home. A frozen concoction without alcohol can still be a fun treat for youngsters. Blend up one of these mocktails in your party machine and enjoy it with your kids. Frosty Pink Drink - Without alcohol, you have plenty of room for other ingredients. Combine watermelon cubes, pink lemonade concentrate, pineapple juice, frozen strawberries and some orange juice for a sweet, tangy and colorful summer drink for the whole family. Berry Blast - Mix your favorite frozen berries - blueberries, strawberries, blackberries and raspberries - into a slushie treat with some sorbet, club soda and ice. You and your kids will love it.